A small, dumpy chat, the stonechat is a little smaller than a robin. Stonechats have quite a big head and short tail. They can frequently be seen sitting on the top of gorse bushes, flicking their wings and making a sound like two small stones being hit together. 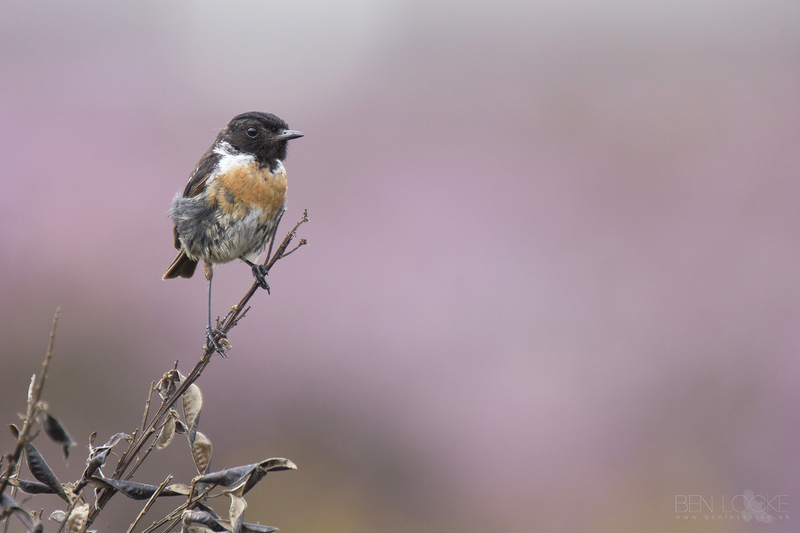 Stonechats inhabit heaths, bogs and conifer plantations. They eat invertebrates, seeds and fruit such as blackberries. Stonechats will breed in any open rough country with scattered bushes for nesting. As well as heathland, they breed on the chalk downs and along the coast in scrubby grassland.